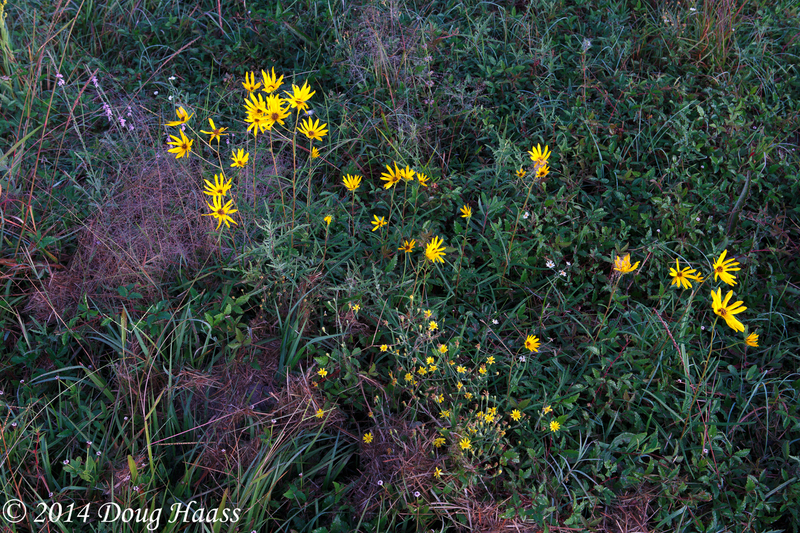 This photo represents the first thing I saw when I first set my eyes upon the Lawther-Deer Park Prairie Preserve. I am not talking about these particular flowers and grasses, but what my mind registered at first glance. In any three foot by three foot area, I saw multiple flowers, insects and grasses. I was overwhelmed by the sheer beauty and abundance of it all. I still feel that way every time I step out onto the prairie. I want to see what different subjects I can find to photograph on each trip out there. Not only do I challenge myself to create a thing of beauty to view on a computer or in a print, but I accept the responsibility to also try and identify each subject I photograph. So, what do you see in this photograph? Click on the photo to see a larger version. Send me an email to doug_h@sbcglobal.net if you know the identity of any plant, flower or grass in this photo.